Rick Alloway teaches a range of courses specializing in audio production, sports media and vocal performance for electronic media. 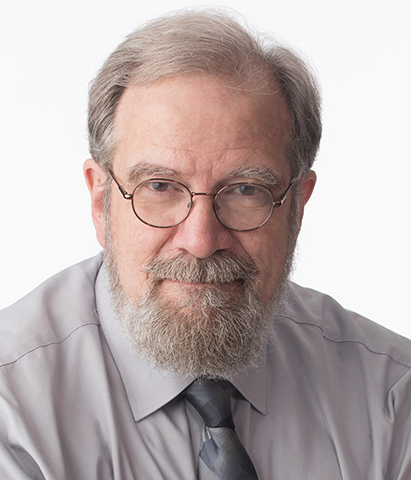 A full-time faculty member since 1986, Alloway began his teaching career at University of Nebraska–Lincoln as an adjunct professor in broadcasting courses in the late 1970s. He taught the college’s sports broadcasting course for 30 years, manages the student sports staff and student play-by-play broadcasts for 90.3 KRNU, coordinates student announcing positions for the Big Ten Network’s “BTN Student U” webcasts, and was a member of the steering committee that developed the college’s new major in Sports Media and Communication. In addition, he is the general manager for the university's audio properties, 90.3 KRNU and the KRNU2 webstream. A native of Lincoln, Alloway earned bachelor's and master's degrees in broadcasting from University of Nebraska–Lincoln. Prior to joining the faculty, Alloway worked for KFOR Radio in Lincoln from 1972-1984 (part-time through college and then full-time upon graduation) as an announcer, producer, promotions director and operations manager. He worked as an account executive and broadcast producer for the Lincoln advertising firm of Bailey Lewis & Associates (now Bailey Lauerman) from 1984-1986. He also worked for the Lincoln cable television franchise as a sports play-by-play announcer for area high school cablecasts from 1972-1981. Alloway serves as the host for a monthly statewide radio call-in show with Nebraska's governor on behalf of the Nebraska Broadcasters Association. Since 1995, he has produced and hosted “Vocal Chords” - an a cappella music program and webcast - on 90.3 KRNU, and he created and hosts "Campus Voices," the station's weekly half-hour public affairs series. At University of Nebraska–Lincoln, he has served on the Faculty Senate, including two terms as secretary on the executive committee, and was honored with the university's Distinguished Teaching Award in 2006. He is a 24-time recipient of the University of Nebraska–Lincoln Parents Association recognition for contributions to students. He taught journalism at Addis Ababa University in Ethiopia in 2007, and in 2008 he served as the executive producer of the college’s depth report video documentary on quilting, called “Soft Power.” He is a former board member of the Midwest Broadcast Journalists Association, a six-state regional electronic journalism organization. Alloway is a free-lance voice-over and narration producer, and his voice is heard on a variety of commercials, documentaries and long-form narrations. He maintains a blog about media trends and graphic design on Tumblr.